Discussion in 'Ranchero Tech Help' started by Forrest, Jan 16, 2019. Hey guys I searched for a thread but couldn’t find one. If there is one sorry for a new thread. I’m looking to put a scoop on my 73. I’m leaning towards the Mustang Mach 1 style if not an original Mach 1 with turn signals scoop. Does anyone have that set up? There are a ton of repops and I want to find the best brand. Maybe someone has a different scoop on theirs? I don’t mind doing body work and paint I just don’t want something crap from the get go. Oh and I’m going to make it functional. Ie cutting a hole for the air cleaner. Pics would be awesome, thanks! 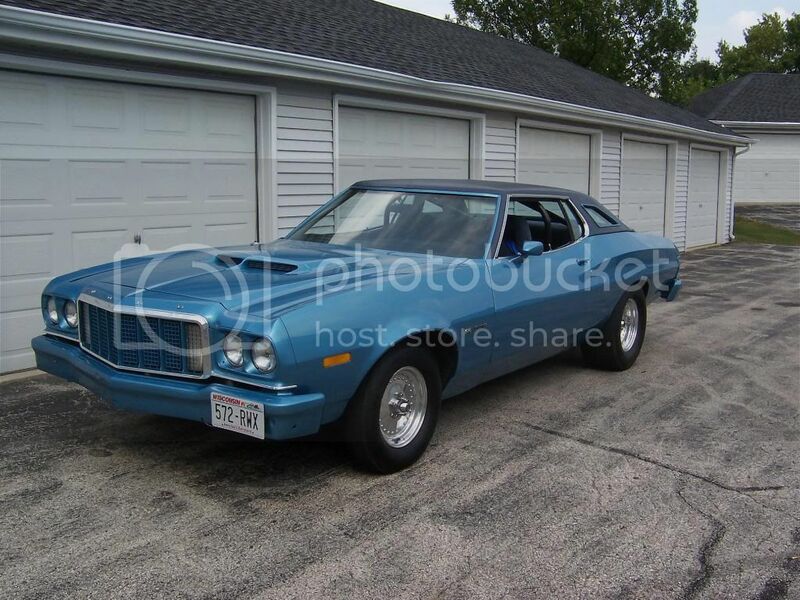 check some of these out.....for me I like the 72 torino type grafted onto the 73 hood but it's a lot of work. Next maybe the Boss 429 style over the mach 1 style only because the hood so so BIG. For sure the Boss scoop over the Mach 1. The Mach 1 looked sort of small on a Mustang hood. The Ranchero hood is measured in acreage, and the scoop might get lost. Grafting a 72 GT scoop on would be your best and most stylish option. In my opinion. pmrphil, Kiwirancher and ForistellFord like this. A Shaker would be cool too. Kiwirancher, beerbelly and Forrest like this. I think both of you guys are right. I was hoping not to have to paint the hood which could be a total pain in the azz to try and match my old sun faded mustard color.... the boss does look a lot better but again I can’t find one that bolts on, with was what I was hoping to do and paint it satin black and continue to just drive the damn thing. The Mach 1 is extremely skinny with was my first concern. I thought about grafting the 72 but once again. Lots of body work and I don’t want to paint the whole care yet ... even though I prolly should. I agree with ForistellFord. As long as you plan to cut the hood, why not? Too small, like your, you know. I put a Mach 1 scoop on one of my 66 Mustang's hood. The turn signals on the back require two big holes for the signal housings to stick through if you want the lights. A few years back I put a 72 scoop on my 79 hood. It had to have the underside support frame to hold the cast part. Played around with this about 3 days. With a 3 ft X 3ft hole on top it's a lot of welding and hoping warpage is minimal. A Boss 429 scoop might be a good size for these big hoods. Yes,graph a 72 scoop on or swap a complete 72 front clip.Epoxy a fiberglass scoop on will result in a fail. TestDummy and Forrest like this. I went thru the same exercise with my '70. Ended up with a fixer upper GT hood. 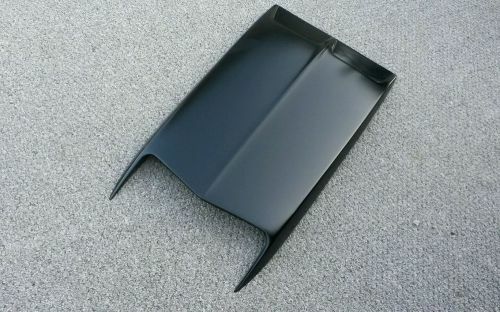 If you are handy with the fiberglass, I wonder if you could graft 2 of these together (sorta like 2/3 of the left and 2/3 of the right) and make it fit the scale of the hood better and not look like a Mustang scoop. Actually looking at those on eBay right now. "I actually considered that. We are doing a lot of fiberglass work here at my job soon but I’d hate to buy two and screw it all up haha"
Pffft. A Sawzall, a hammer, a six-pack--what could possibly go wrong?